When I first started the Grandma's Briefs website way back in 2009, I planned to not share photos of myself. It seemed best to keep the site all about my grandson — it was back when Bubby was my one and only — and staying kind of anonymous was the way to go, I thought. What a stupid thought, I soon realized. It's hard to get up close and personal about my grandma experience without, somewhere along the line, sharing a picture or two of myself. I'm here to tell you I've now gone far beyond sharing just a picture or two of myself and on into sharing a full-blown video. Hooray for our long-running link party for grandparents! I'm delighted to see all the regulars and pleased as punch by new faces, too. 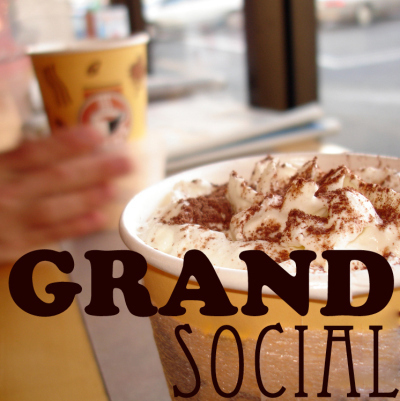 Thank you for joining me and making the GRAND Social a popular place for grandparents to share stories.